All guests appearances are tentative. The vast majority of our guest celebrities take questions from the audience during their on-stage time. Therefore it is incumbent upon those that ask questions to make them ones that allow our mutual shared time with the celebrities to be enjoyable, interesting and entertaining for all (including the guest). Asking for hugs, telling stars we love them (we all do, that's why we're here), giving gifts (you can do this at photo ops), getting into long personal stories, or worse, is not acceptable for this format and, in fact, is quite self-centered when you are in essence "representing" all of fandom to a celebrity. Join us in trying to make this convention the best entertainment for everyone! For those ordering ticketing packages or single day tickets that involve reserve seating: Please note that seating locations are assigned in the order in which tickets are purchased. If you wish to sit near friends you must all order the tickets together under one purchase. At this early time we are offering our top of the line GOLD WEEKEND PACKAGES, the most upscale way to attend the entire three days. Grab the best seats in the house by ordering early! Your seating will be placed behind or to the sides of those patrons who ordered at the 2007 New Jersey event. 2) ADMISSION to The EXCLUSIVE GOLD DESSERT PARTY on Saturday Evening. Join fellow fans to party with selected guest celebrities. This party will be exclusive for Gold Weekend Patrons, should be an awesome celebration! 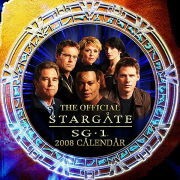 3) ADMISSION to the CELEBRITY CABARET featuring Stargate stars entertaining our audiences! Set for Friday Evening. 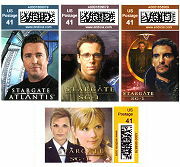 4) Complimentary autographs from attending Stargate celebrities. 9) Complimentary admission into our famous Sunday Morning Breakfast and Charity Silent Auction. We welcome sensational guests and fans to what many consider to be the highlight of the convention. 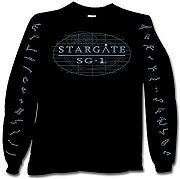 We're raising money for MAKE-A-WISH with our charity silent auction. 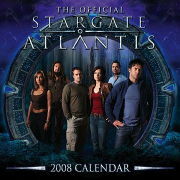 Call 856 216 0372 and mention Stargate for this lower than normal rate. © 2004 Creation Entertainment. All Rights Reserved. Unauthorized duplication of graphics or material appearing in this site is prohibited.